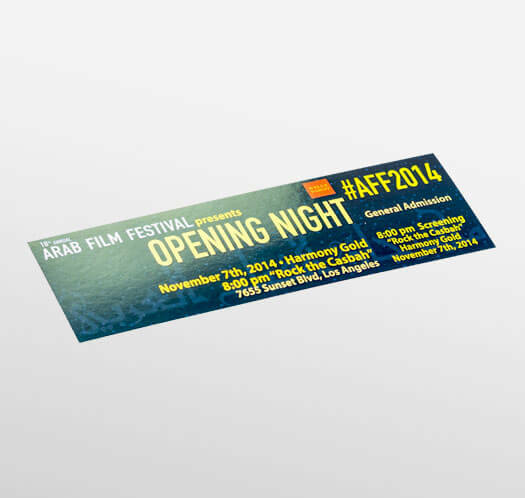 Extend your event or company's message directly to your audience's hands with event tickets. No matter what the event, tickets are practical for most any event. Printed on your choice of 14 pt cover stock or 10 pt cover stock. Both options are durable stocks with great flexibility for ease of tearing when perforated. 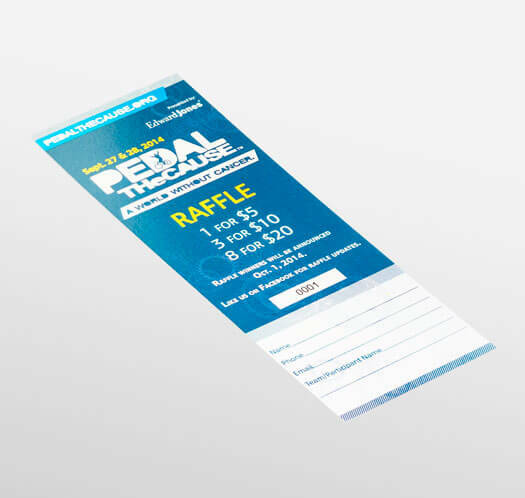 The 14pt uncoated paper is a great choice for writability, especially when used for printing raffle tickets. 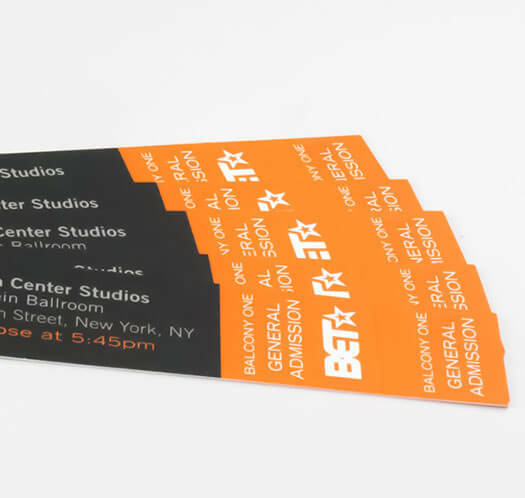 We print event tickets using a 4-color process like most of our products. The 10pt Cover is coated with a Gloss Aqueous Coating for surface protection while at the same time giving it a nice shine. The 14pt cover is not finished with any coating making it more porous than coated paper. Some tickets are designed with parts that need to be separated. 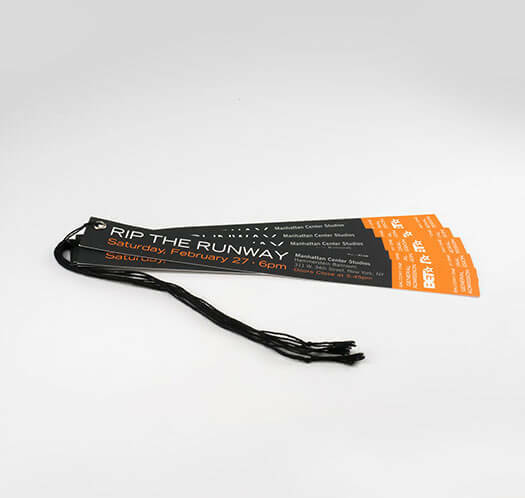 Our perforation option provides easy tearing, ideal for raffle tickets and keepsakes. Be sure to include indicators on your design of where to perforate. Sequentially numbered tickets keep your event secured. The numbers are used for easy recording and audit of financial records; it is also almost a necessity for raffle prize drawings. Automatic numbering starts at 001 and ends at your finish quantity, however, you can always select your unique starting number. It is important for your ticket design to be a part of the overall event experience. With memorable events, some people like to keep their piece as a keepsake. Our design team is always available to assist you in creating your own or with file preparation. Contact us to speak with a product specialist on how you can add custom features to your event tickets.